New England was once the epicenter of American manufacturing, supplying the country and the world with textiles, leather goods, and other vital commodities. Although much of this industry no longer operates in the region, American's oldest glass company is still thriving on Cape Cod. 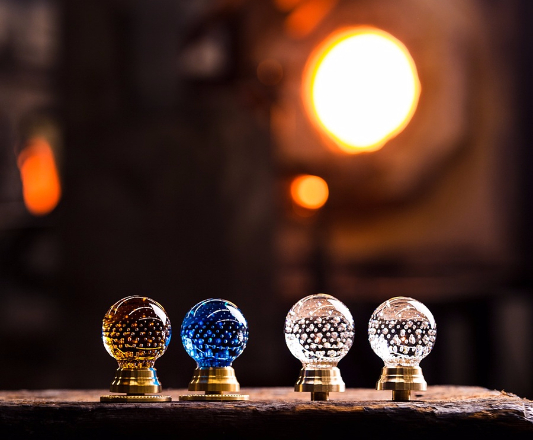 At Pairpoint Glass in Sagamore, MA, skilled artisans continue to rely on traditional methods and tools to create breathtaking showpieces and decorative glass items. Visitors can view the entire production process at Pairpoint's Cape Cod factory, which offers curious guests a rare glimpse of historical arts and crafts in practice. Pairpoint Glass was founded in 1837 in Boston, MA as the Mount Washington Glass Company, making it the oldest continually-operating glass manufacturer in the United States. The current Cape Cod facility opened in 1970 and continues to make use of original tools and methods. "We still use the same traditional techniques and a lot of the original tools. Pairpoint is a working museum," explains co-owner Jeff Tulman. "The guys are using models and presses and hand tools that are from the 1830s. It ends up being a cool education for visitors on what it takes to make a piece." Visitors can step back into the nineteenth century and watch skilled artisans at work, most of whom have decades of experience at Pairpoint. "Our senior guys have been here between twenty-five and forty years each," Tulman explains. "Some of them are second-generation Pairpoint artisans. They have decades of specific experience with this kind of tooling and with the Pairpoint style." Pairpoint has a long list of famous customers. "Pairpoint made all of the glass for Tiffany and Co., some U.S. presidents, and even Queen Victoria and the pope," Tulman says. "We have pieces in thirty-two U.S. museums, including the Met. Over its 180 years, Pairpoint has been considered the highest-end glass manufacturer. The history and pedigree of the company are unsurpassed." As Tulman explains, the methods used to produce those famous pieces have not changed much in almost two centuries, and this tangible connection to famous historical figures and events is a huge draw for visitors. "Paipoint was always known for having original color recipes, and we still use these 180-year-old recipes to this day," he says. "People get really excited to hear about who our clients are--they're amazed to learn that we've made stuff for popes and queens and presidents." Pairpoint offers visitors the chance to view their artisans at work at no charge, making this an ideal stop for travelers of any budget. "Everything that Pairpoint produces is made on-site at our facility on the Cape," Tulman says. 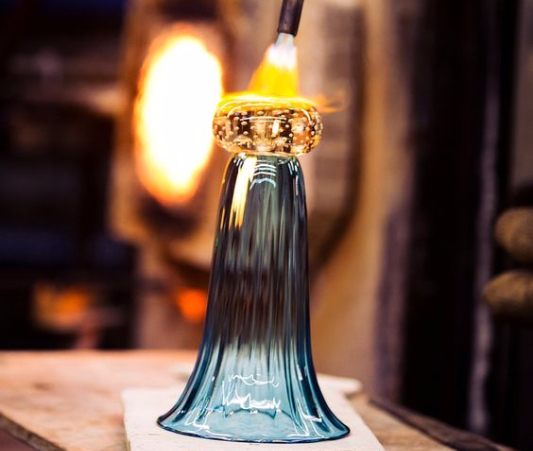 "Our visitors are able to see not just glass demonstrations, but actual glass production." Visitors may be surprised by the appearance of the facility, which, as Tulman points out, "was built to be practical for glassmaking."